Since the emergence of Bitcoin not everyone knows it, especially for people who have never used the Internet. Whereas people who already know the Internet will know it and make it an opportunity that can be profitable in the future. This is evident since the emergence of Bitcoin prices were very low, even less than $ 1 USD. Every year it continues to increase and makes everyone amazed by the increase in Bitcoin. Until now the value has reached more than $ 3,000 and is expected to continue to increase. So for those of you who want to do internet business, you should look for Bitcoin. The value of Bitcoin is due to the limited number while the demand is very large. That makes the value of Bitcoin even higher. No wonder so many people want to have Bitcoin to make a profit. We can learn from Bitcoin, some people who are brave at that time buy Bitcoin in large quantities, but it is uncertain if the Bitcoin Value will go up or down. A very big risk because many predict that if Bitcoin is not safe so many people are hesitant to buy it. Even though Bitcoin is Digital Money that is very safe and cannot even be made alone. Until now Bitcoin is one of the currencies that cannot be faked. Besides Bitcoin there are several other digital currencies which are expected to increase like Bitcoin. Some currencies are popular and their value has gone up but not too high, so that anyone can still buy them. But that is only a temporary prediction because we do not know what will happen in the future, the value may decline or soar. Here are some currencies that are expected to increase like Bitcoin and even some people predict this digital currency can be a rival to Bitcoin. Litecoin currency was made in 2011, last year in December Litecoin (LTC) was a currency that had a market cap of $ 17.78 billion, with a performance of + 4,800%. This currency was first made by an employee who used to work at Google, namely Charlie Lee. Many people refer to Litecoin as the silver version of Bitcoin or also referred to as a simple version of Bitcoin. This currency is ranked as the 5th most popular cryptocurrency in the world. Litecoin transaction capability is also faster than Bitcoin. Litecoin digital currency is not as big as Bitcoin, but its presence can be an opportunity and opportunity. Its increasing value shows if Litecoin enthusiasts continue to increase. Manero or XMR has not yet known who created it, just as Bitcoin whose creation is anonymous or unknown. In December 2017 this currency has a market cap of $ 4.84 with performance reaching + 1.930%. XMR is the advantage of this currency. By conducting transactions using Monero (XMR), all the details for each transaction, including the process of sending, receiving and measuring them have been directly recorded in the public ledger. Just like Bitcoin that uses Blockchain. However, even though both use the technology of the Blockchain development, between BTC and XMR also has quite clear differences. If in the Bitcoin network everyone can see all transaction processes in a very transparent manner, from the sender's address to the number of transactions. As with Monero, which is directly recorded in the public ledger, but to see it, not everyone can do it. In addition, the XMR currency also does not have a fixed number of coins like Bitcoin which is limited to 21 million. If you have reached 18.4 million XMR with 0.6 XMR tail emission, there will be an application of 2 minutes in forming a new monero block. Many people are curious about Manero's digital currency. Neo virtual currency was first made by the CEO of Onchain, namely Da Hongfei. He is a driver of Blockchain from China, he made Neo with his colleague Erik Zhang. Co founder Crypto R Us who is also a veteran investor in this currency, George Tung, stated that Neo has the potential to become Ethereum for China. If China can reduce the tension on the Blockchain and also Bitcoin. In 2017, the market cap Neo had reached $ 2.6 with a performance value of +24,685. Previously the name of this currency was Antshares which later changed Neo in 2017. The increase in Neo is indeed low but has never experienced a decline. That is a positive value for Digital Money because it continues to increase every year. Ripple is a type of virtual currency created by developer Ryan Fugger and his colleague Chris Larsen and also Jed McCaleb, a programmer. The New York Times once gave a statement that the Ripple is a cross between Western Union and also currency exchange without very reasonable fees. Because it is not a currency, but also a system where any type of currency, including one of them, can be traded. In 2017, the Ripple market cap has reached $ 11.2 billion with a performance of + 3.803%. That's some Digital money that is expected to rival Bitcoin. Hopefully useful, thank you for visiting the Next Siooon Website. 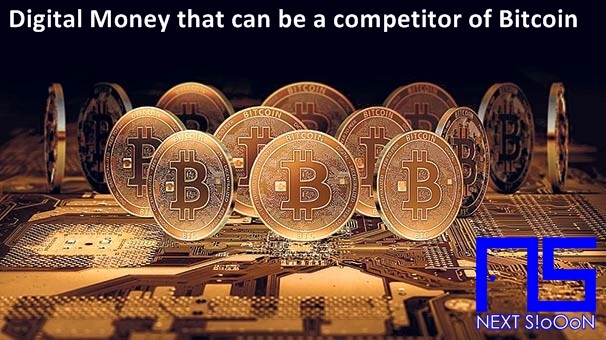 Keyword: Digital Money that can be a competitor of Bitcoin, How to Use Digital Money that can be a competitor of Bitcoin, Benefits of Digital Money that can be a competitor of Bitcoin for Blogs, How to Register Blogs to Google Webmaste, Tips to Register Blogs to Digital Money that can be a competitor of Bitcoin, What is Digital Money that can be a competitor of Bitcoin, Benefits and Use of Digital Money that can be a competitor of Bitcoinu for Blogs, Increase SEO Blogs with Digital Money that can be a competitor of Bitcoins, Search Engines Google, How to Use Google's Search Engine, Benefits of Google's Search Engine for Blogs, How to Register a Blog to Digital Money that can be a competitor of Bitcoin, Tips on Registering Blogs to Google Search Engines, What are Google Search Engines, Benefits and Use of Google Search Engines for Blogs, Increase Blog SEO with Search Google Engine.